We love our pets and they can bring us much joy and laughter. According to the American Veterinary Medical Association, over 43 million American households have at least one dog, and over 36 million have at least one cat. Unfortunately, as much as we love these, they can hurt us with nips and bites that break the skin, often by accident. Dogs are usually the first pets we think about when it comes to pet bites, but cats make up 10% to 20% of animal bites in the US. And of course, we can’t forget about the smaller pets we share our lives with, like mice, guinea pigs, and hamsters. They can – and do – bite sometimes too. Animal bites versus human bites – which is worse? Animal mouths are neither cleaner nor dirtier than human mouths – the bacteria in an animal’s mouth are different from a human’s, but bites from either can cause a serious infection. 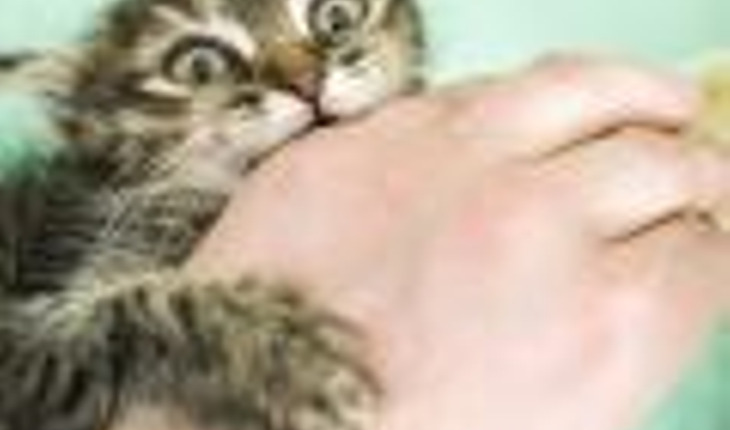 Human bites are the third most common bites to humans – after dogs and cats – but they have higher complication and infection rates. About 10% to 15% of human bites, such as a bite from a young child, become infected. And where that bite is also important. Bites on the hand have the highest risk – up to 40% of these get infected. Why can a bite be dangerous? Bite wounds are often puncture wounds, which means bacteria can be sent deep into the tissue below the skin. The bacteria that cause infections, whether the bite is from an animal or a human, come from three sources: the biter’s mouth, the skin of the person who was bitten, and other bacteria that is in the immediate area. Because of this, the infections are usually polymicrobial, which means that more than one type of bacteria is responsible. Some people are at higher risk of developing an infection. If your immune system is compromised because of an illness or medications you are taking, like chemotherapy or corticosteroids, it’s much harder for you to fight an infection. People with chronic diseases, like diabetes, also get infections more easily than others. Infections that aren’t treated or are incorrectly treated can lead to a serious and potentially fatal complication called sepsis. Sepsis, which used to be called blood poisoning, is your body’s overreaction to an infection. As your immune system tries to fight the bacteria, it over reacts and begins to attack itself. Sepsis can lead to septic shock, and death. Every year, over a quarter of a million Americans die from sepsis. If you are bitten, you need to treat the wound as quickly as possible. First, flush out the wound with cool clean water. You can use a mild soap if you want. Flush it for a minimum of five minutes, but the World Health Organization (WHO) recommends you do so for 15 minutes. Contrary to popular belief, don’t reach for, hydrogen peroxide or alcohol to disinfect the bite. These can cause tissue damage and delay healing. If the bite has only just broken the skin, cover the wound to keep it clean and watch it for any signs of infection, such as redness around the wound, increased pain, and drainage coming from the wound. You may want to apply an antibiotic ointment until the wound scabs over. If you see any signs of infection, see your doctor or visit an urgent care clinic as soon as possible. If the bite went deep or the skin is torn, it would be a good idea to get the wound checked by a doctor after you’ve cleaned it. In addition to caring for the wound itself, if the bite was from an animal, your doctor will want to know if it is up-to-date on its vaccinations, including rabies. Depending on where you live, the doctor may required to report the bite to animal control authorities. If so, you will probably receive a follow-up call requesting information about your pet and inquiring after your health and the pet’s health. Unless the animal turns out to have symptoms of rabies, the authorities will not take your pet away from you. The doctor will probably ask you when you had your last tetanus shot. If it was more than ten years ago, you may be urged to get a new one. If the area around the bite shows symptoms of a possible infection, such as redness and swelling, the doctor may prescribe a course of antibiotics for you. Should that happen, be sure to take all of the pills as directed even when the infection appears to be gone. Bites and infections can be quite serious. Taking care of your wounds and seeking help if there are any signs of infection, will help reduce the risk of complications, like sepsis. Marijke Vroomen Durning RN has written articles, promotional material, and continuing medical education (CME) for health care professionals, as well as patient information sheets and articles for the general public. She has also co-authored several books. Her blog was chosen as one of the Top 10 Canadian Health and Fitness Blogs by SheKnows Canada and one of the Top 50 Nursing Blogs for 2015. She is the author ofJust the Right Dose: Your Smart Guide to Prescription Drugs & How to Take Them Safely. To learn more about the book, please visit JustTheRightDose.com. You can also go directlyto Amazon or Kobo to purchase it. Please also visithttp://medhealthwriter.blogspot.ca/ andhttp://medhealthwriter.com/.